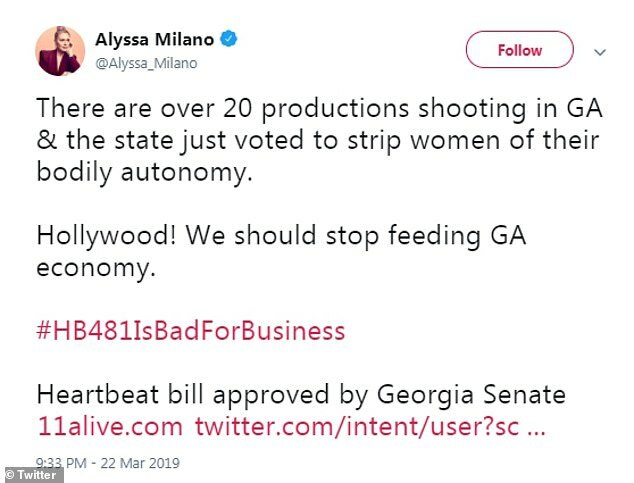 Actress Alyssa Milano has taken to Twitter to show her disdain at the state of Georgia after the Senate passed its 'heartbeat' abortion bill on Friday afternoon. 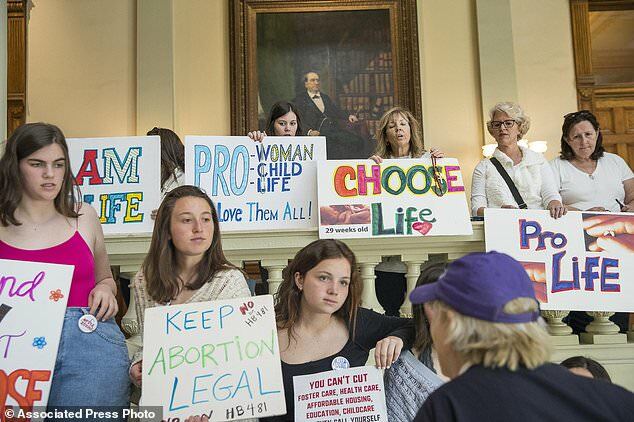 Milano is urging Hollywood film companies to stop shooting in the Peach state as it moves ever closer to approving the nation's strictest anti-abortion measures. 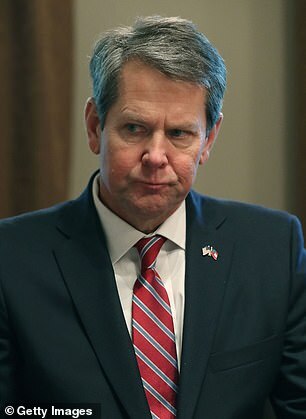 Milano who currently stars in Netflix's dark comedy Insatiable tweeted from Atlanta where she was on set playing her character Coralee Huggens-Armstrong.